If you sell other people’s stuff on the internet without any purchase of the physical product or service, no order fulfilment, no liability and no stock holding then you are both considered an affiliate. They are an affiliate to you (a merchant affiliate) and you are an affiliate to them (an advertiser affiliate). 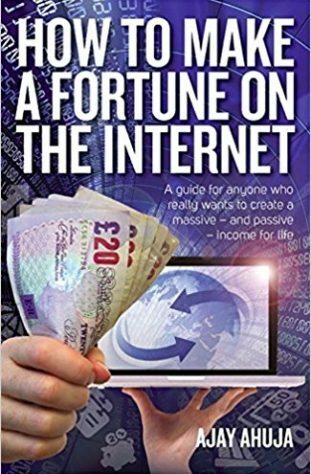 This is one of the most effective ways of making money on the internet and was the real trigger for me to see how easy it could be to make a lot of money very easily. There is very little for you to do other than market your affiliates hence the naming of this emerging industry of Affiliate Marketing. Affiliate marketing is where you, the website owner, sell products and services of companies you have decided to affiliate with (partner up in other words) in return for a commission. The reason why this industry has exploded over the last 5 years is because the whole process can be automated. To become a reseller of someone’s goods or services in the past required an initial phone call, a few meetings, a draft contract and then a final contract agreeing the terms and conditions. This cost a lot of time and money in lost productivity and professional fees. Today you can affiliate with some of the big high street names like Comet, John Lewis, Woolworths, Lloyds TSB etc with just a few clicks – honest! You see a product or service on the web that you wish to sell. So you look for the link on the site that says “Affiliates”, “Affiliate Sign Up”, “Partner Program”, “Make Money With Us” or something like that and click on it. They will tell you what commission you can earn if you sell their stuff. If you like what they’re offering you can click further on to an Affiliate Sign Up Form where they will ask you the basics such as name, address etc plus also how you wish to get paid i.e. cheque, direct transfer, paypal etc. So you sign up. After sign up you are directed to a page which gives you your all important Affiliate Link”. This is a unique domain name which is related to you. So for example if I were trying to affiliate with Vodafone then my affiliate link may look like www.vodafone.co.uk/aid=ajayahuja. It doesn’t matter what it looks like but it will be a unique domain so that Vodafone can identify where their visitors have come from. You include this unique link on your website and when anyone clicks through your link, visits vodafone’s website and buys from vodafone’s website within a specified time (usually 30 days) you will get paid a commission. To try and think of this visually think of your website as a market stall. You have approached the Vodafone shop at the other side of the town to introduce potential customers for them and they said they will pay you £20 for every new customer that buys a phone. To identify your introductions they give you this pen which makes an invisible mark on people’s clothing but can be seen by a vodafone’s special lighting. Your pen colour is unique so that if a person comes in their shop with your ink on their clothing and buys then Vodafone will send you a cheque for £20 because the sale is traceable back to you. Now this is occurring like mad all over the internet. Your internet persona is probably covered all over in this invisible ink and you have no idea! There are affiliate marketers out there that have enticed you on to their site because they promise independent reviews of products (such as Which), promised to tell you where to get the best price (such as Kelkoo) or simply because you login to your email on this page and something caught your eye and you clicked through (such as MSN). All these companies employ affiliate marketing tactics and are making a nice little income off your back! So its down to you to get some income yourself. I know exactly where to go to get affiliated with the biggest and widest choice of affiliates and only require one sign up. These websites are like middlemen to the people wish to market the goods and services and the companies looking for people who they want to market their goods and services. It’s a big market place hosted by these middlemen where you can pick and choose who to be affiliated with. Once you have obtained your unique link from these middlemen websites they will record how many clicks you receive on a daily basis. They will check that they are valid clicks to prevent click fraud (I,e, someone repeatedly clicking on your link) and will pay over whatever the agreed amount is per click. So if you have this link on your website and the agreed amount is 50p per click and you get 10 visitors a day clicking on this link then you will earn 10 x 50p = £5 per day. I will teach you how to get your affiliate links clicked further in the chapter but I hope you can see that by simply having a website with affiliate links can really deliver you a nice passive income. I mean just imagine if you had a 1000 visitors a day clicking that link. That’s £500 a day and trust me there are website owners out there that are making that and more from just one pay per click affiliate link. This is where a user clicks through your link and then fills out a form and clicks “send” so that the affiliated site gets a lead. The form will usually be at a minimum their Name, Phone Number and Email. You get paid an agreed amount every time someone fills out this contact form and clicks on send. The affiliated site will then check the lead for authenticity by making contact ensuring that the lead is genuine (so don’t get ideas of sending the whole BT phone book because they will not pay out). This is one affiliate link I promote heavily. I affiliate to many loan sites and they pay me up to £115 per authentic lead. Their criteria is that the lead must be over the age of 18, be a home owner and are looking to raise finance. If this is the case I get paid. I roughly get 1 in 4 leads approved and I have these links dotted about on my site. I reckon I earn about £3,000 to £4,000 per month from these links and all the payments go directly in to my bank account. Now that’s what I call Passive! All I have to do is make sure my sites are live (by making sure I’m up to date with my credit card payments for the site) and I can be assured that someone everyday will click on one of those links so I get paid. This is where a user clicks on your link and actually buys on the affiliated site. So the user clicks on your link, visits the affiliated site, likes what they see and buys within a certain period of time. So they could visit the affiliated site then come away from the site then come back to it 7 days later due to finding the site again and buy and you will get paid. The only way you wouldn’t get paid is if they found the affiliated site through someone elses affiliate link and not yours. The period of time is set by the website selling the stuff and is usually 30 days. The sorts of commission you can get are a percentage of sale or a fixed amount per sale. Another exciting feature of Pay Per Sale is that you can get lifetime commissions. So if the affiliated site offer 30 days tracking and they deem a sale the registering of a user and you get a percentage of sales of a user for life then you can earn an income for life. So, for example, this is a case that actually happens to me. I have several users that have registered on a gambling site through one of my affiliate links and I earn a lifetime commission on the profits on these users (i.e. the personal losses of these users) as long as they use this gambling site. I earn around £200 to £300 per month for this and I really do do nothing because as long as they play (and lose!) I will still get paid no matter what I do. Just imagine if you had 1,000 registered users on a gambling site that paid out like this……..you’d never have to work again! If you have a site about French bull dogs then there is no point trying to recommend they open up a casino account with 888.com even if they do pay £100 per sign up! This is because your readers will simply be not interested in this because they come to you because of your information on French Bull Dogs. No you may get the odd person interested in French Bull Dogs and in your offer of opening up a casino account but the likelihood is very low and even though you might get a sale the amount of credibility you will lose will not make it worth it. So in this example of a website about French Bull Dogs your readers would be much more receptive to you telling them about Direct Line’s pet insurance which only costs £8 per month. They could sign up via your link and they will be unaware that for every click/sign up/sale you earn 50p/£2/£10 or whatever it is that Direct Line pay out. The conversion rate will be a lot higher than a gambling site! This is why it is handy to have a site that you are personally interested in because you will have an intrinsic idea of what is of interest to your readers because you will have an understanding of their wants, desires and needs. If you know that vet bills are rising beyond inflation and you know that French Bull Dogs are more susceptible to infection, injuries etc then pet insurance for vet bills will be well a hot topic and well received. If you know of rough costs of pet insurance to be £10 per month and Direct Line are offering £8 per month then you know that Direct Line’s offer is cheap and will convert better. So really understanding your reader will help you choose the affiliated sites so that they get clicked and you get paid. Do you know how I know this? Because I have seen what has worked on my own sites and seen how much I’ve earned from having affiliated links for all of the things listed above. I too got tempted by the big commissions offered by gambling sites and realised that even though you get a few sign ups you don’t really earn that much as if you did a proper targeted offer that is relevant to your reader. I have around 20,000 subscribers on my property investment list and if I do a gambling promotion I might get 1 sign up which pays £60 but compare this to a loan promotion which pays £75 per lead where I might get 40 people making an application. So the gambling promotion earns me 1 x £60 = £60 and the loan promotion earns 40 x £75 = £3,000. So you can see how easy it is for me to decide what to promote and what not. So browse the middlemen website’s merchant’s categories and see what categories would be of interest to your readers. Then look in to the detail of what each merchant sells and think whether any of their products or services would be of interest. If there is, sign up (if it pays well – see below), get your unique link, bung it on your site or newsletter and send out. If you add a sale pitch to it then even better! Don’t forget what I taught you in chapter 3 about creating a sales pitch. Let me explain this by way of an example. I was looking for an insurance site to market and I came across this insurance quoting site. Now I know that roughly 1% of my subscribers to my property investment website would be interested enough in what I recommend to fill out an enquiry form or quotation form if I wrote a sales pitch about a particular insurance site. 2% x 20,000 x 1p = £4. Now I don’t know what you’re time is worth but there is no way I could justify writing a newsletter about an insurance quoting website if all I could expect to earn is a few quid. So I can hope you can see that you have to be affiliated with websites that pay a decent amount. Now the way you determine this is not as easy as it seems. Now the above example is because you can see that there is no point in getting involved with a website that pays 1p per lead but what about a merchant that offers £100 per validated lead where successful validation only occurs 1% of the time or £100 commission per sale where a sale only occurs 0.2% of the time? So we can see that even though Company A offers a headline commission of £100 per lead, a clear £50 higher than Company B, you actually earn more from Company B because they validate leads less strictly. So Company B would be the choice to affiliate with if they both offered the same product or service. So what is to be learned here is do not get seduced by the headline commission. Its better to go with a merchant that offers you £1 per click/lead/sale that pays out rather than a merchant that offers you £100 per click/lead/sale that pays out nothing! And trust me there are merchants out there that promise the world and pay out nothing so beware. So company B has a website that converts better than company A. It may be because it has a better sales pitch or a better product or service. Whatever it is you should promote Company B’s website as the EPC is higher. This is fairly obvious to deduce. Either you like the amount or not! Its easily trackable so if they’re offering you an amount that you’re happy with then go for it. My threshold is around 50p per click. I would happily place a link on my site if the merchant would pay me 50p per click. Obviously it’s a personal choice and you have to decide what you’re happy with. Find out what they determine as a lead. If it just their email address and as long as it’s a genuine working email then its likely that you will get paid as all they are asking for is a genuine email. So go to their website and if the form looks a simple one with the merchant having a simple two line form requesting the firstname and email then it will be likely that you will get paid something. So as long as it’s a decent amount they are paying i.e. in excess of 50p or so you can expect to earn potentially something from promoting their site. If they determine a lead as someone filling out a 8 page contact form asking their age, where they were born, their nickname at school and the size of their inside leg AND only deem it to be a proper lead if they can contact the lead within 5 minutes of the merchant receiving the lead then it is unlikely you will get paid. If there are too many obstructions to them paying out like having too many questions or impossible contact times then forget them. Stay away from these merchants as they are unlikely to pay out and all they want is free leads. If you are affiliating stuff relevant to your reader then the best test is to ask yourself “Would I buy it?”. If no still ask yourself “Would I consider buying it under different circumstances?” like a different price, extra features etc. If yes then consider promoting it. You are the best acid test. If you would consider buying it then it will probably sell. Just because you think its expensive or it doesn’t do enough it doesn’t mean that is not attractive to someone else. Now try to be unbiased about it and do not get seduced by the high commission rate. Step back and try to look at it realistically. Check that the software they are using looks like its going to track your sales. If they don’t work you could end up promoting their site and never get paid. Keep track of who you sign up with. You will need to routinely check each individual merchant’s affiliate login page to make sure they are paying out on your sales. Some affiliates can be really slow paying and sometimes they never pay. In this case remove your affiliate link immediately as you are promoting them for free. Do not go overboard and clutter up your site with a load of affiliate links. Be selective. Go for the ones that convert, pay out and look good. Since you are associating yourself with these websites you need to make sure they’re good ones with good customer support, easy to use and working websites and reliable. You are potentially putting your reputation on the line as you are endorsing their product so choose wisely.